The Monte Bondone ski area was one of the first to be constructed in the Trentino region in Italy with the very first chair lift starting up in the 1950s. This is a well-known Trentino ski resort, home to the famous “3-Tre” (the alpine ski world cup) and the “Trofeo Topolino” (an international children's ski competition held in association with The Walt Disney Company). 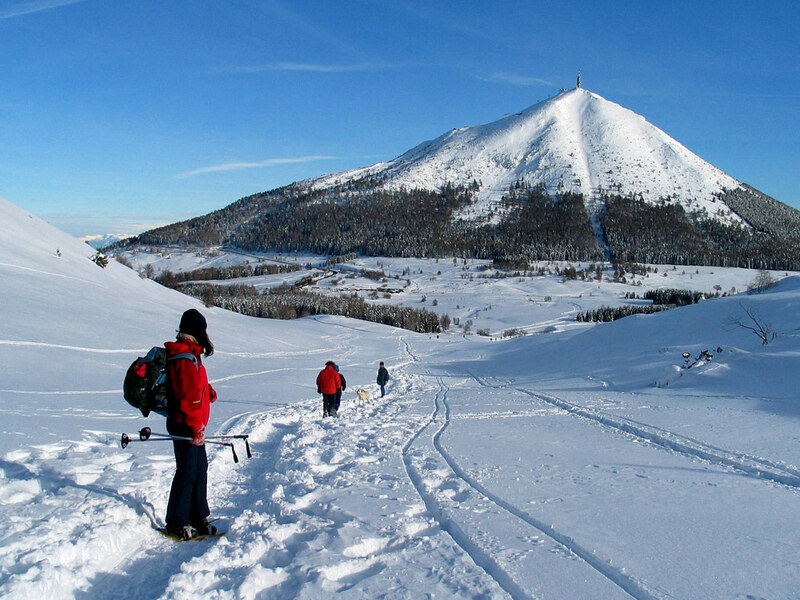 Underneath the Palon mountain, the highest peak of the Monte Bodone at 2090m of altitude, a wonderful hiking area stretches out in which is extremely popular in the summer months. 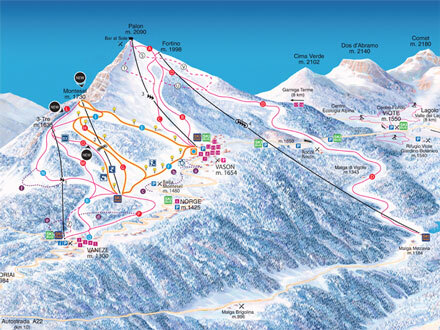 In winter a wonderful ski area comes alive on the slopes of the Monte Bodone. The slopes are all bathed in sunshine up on this natural mountain terrace which offers some unforgettable views of the Dolomiti di Brenta and Trento. 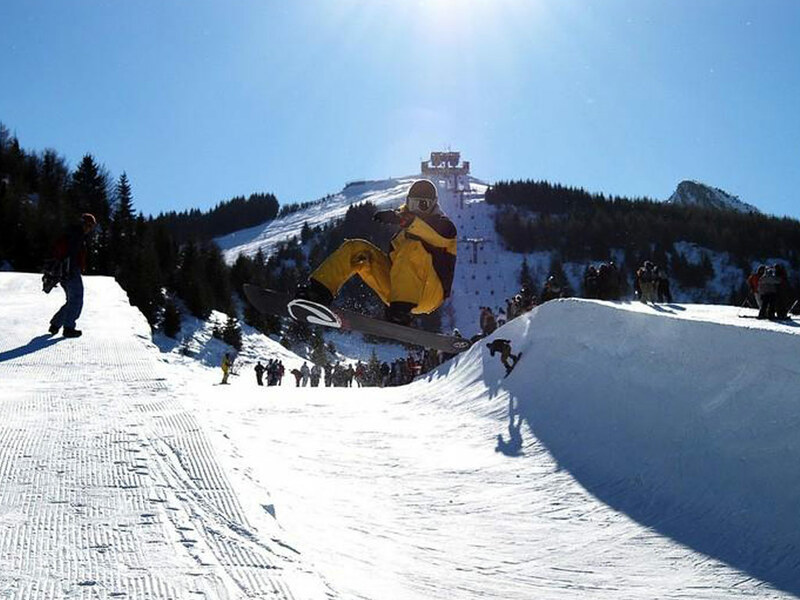 Although the ski area is particularly large, this is a popular area with snowboarders thanks to the excellent Snowpark Monte Bondone which has a very good reputation. Modern, high-tech snow cannons guarantee snow coverage on 100% of the slopes in the Monte Bondone ski area. 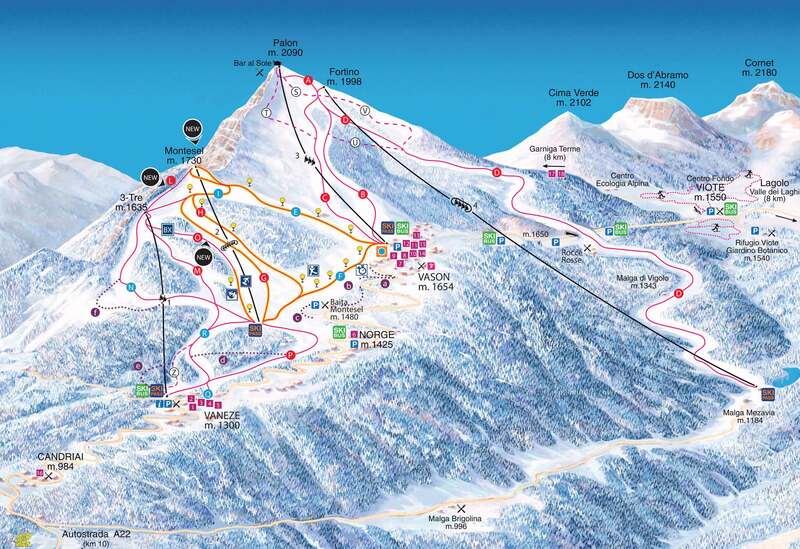 This is an ideal spot for a relaxed ski holiday with the family.